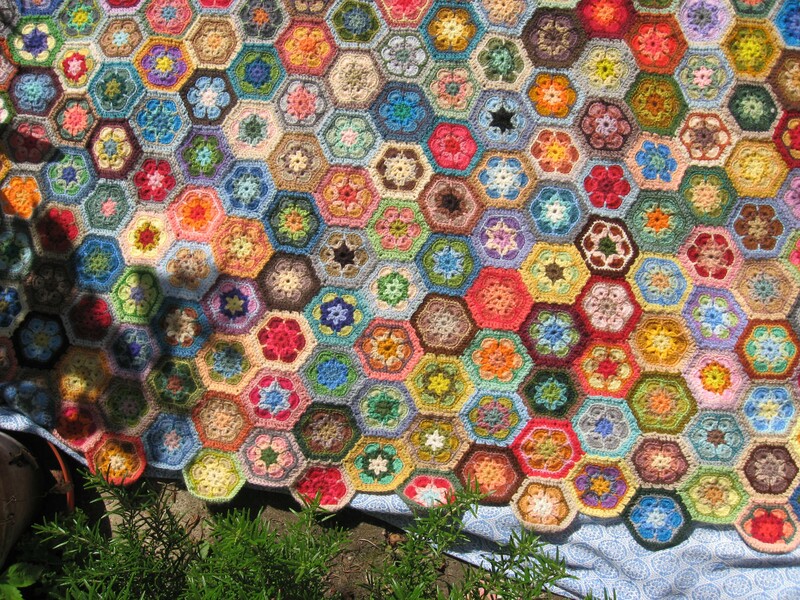 Last year I saw the most amazing and beautiful crochet blanket on Flickr. 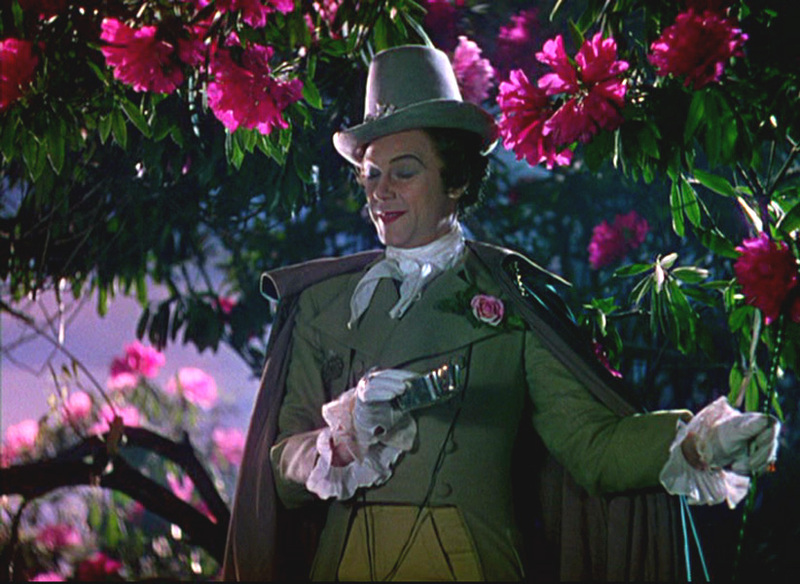 I was completely smitten and just couldn’t stop thinking about it. Finally I decided to try and make one for myself. 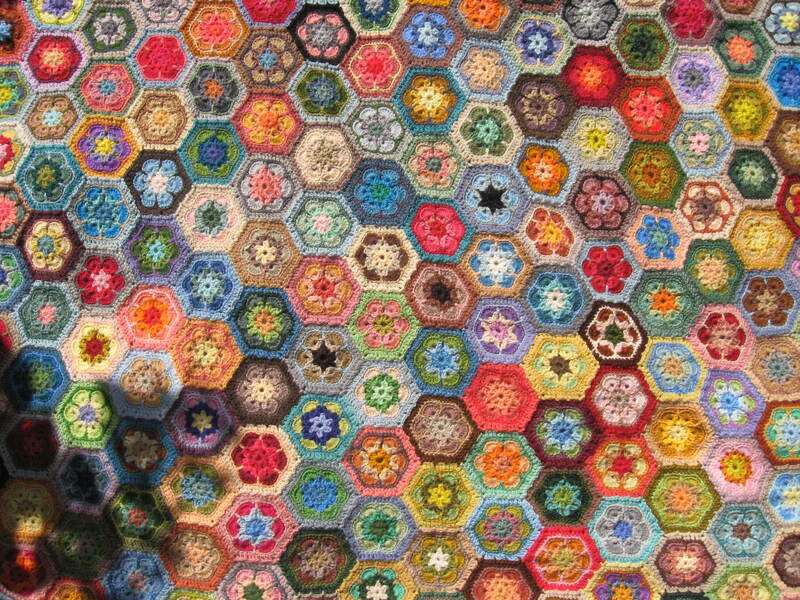 I found a really helpful tutorial here on how to make the crochet hexagon (it seems to have two names….Granny’s Paperweight or African Flower) and began making the hexagons at the start of the year. I pretty much followed the instructions given there but I changed crochet hook sizes in the fourth round from a 4mm to a 3.25, which I then used for the rest of the hexagon and also for joining them together. Rather than use acrylic yarn I used tapestry wool. This was for a couple of reasons, partly because I had a couple of boxes full of vintage tapestry wool that I have been collecting on and off over the years, but also when I tried it out in acrylic I wasn’t so happy with how the colours blended. I made an acrylic blanket last year and the colours were really bright and colourful but it didn’t look right for this blanket. And another big positive for using tapestry was the huge colour range. Even if I had just stuck to one brand name then the range would have been in the hundreds….I think I’ve used over 20 shades of yellow alone. These photos were taken in my back garden and the blanket doesn’t look so bright inside, because a lot of the wool I used was “vintage” (actually some was from the forties) the colours seem quite muted indoors….. and it looks like it could have been made years ago. 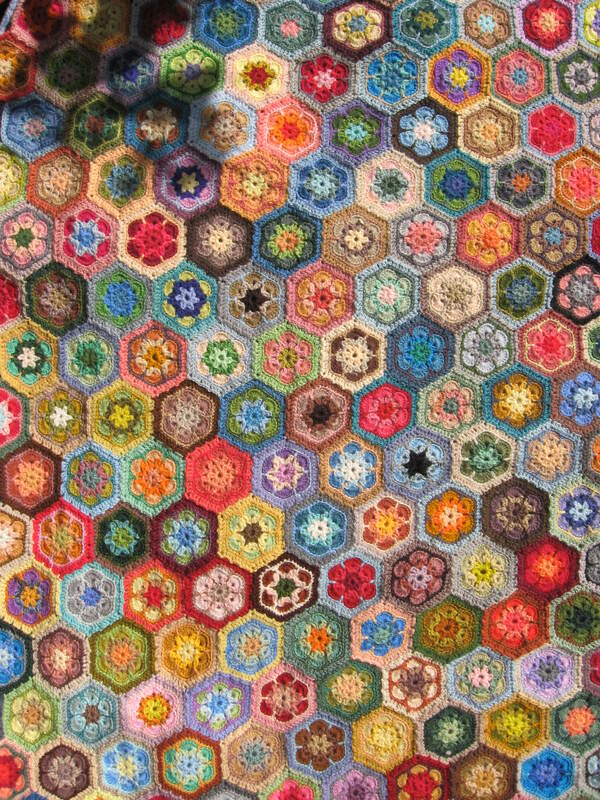 The blanket isn’t quite finished as I need to make about 2 dozen half hexagons to make the top and bottom of the blanket straight, and I am still trying to work out what to do on the sides as they are curling in and that just annoys me. So far I’ve sewn in just over two thirds of the ends. 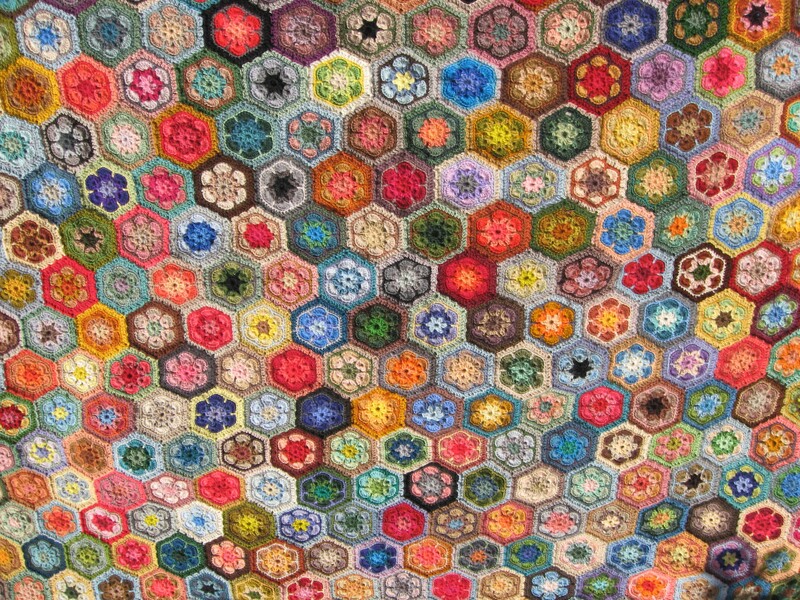 There are over 400 hexagons, each hexagon has 10 ends to sew in….. so yes, over 4,000 little wooly ends to sew in which is a bit of a chore but it’s quite meditative sewing them. Once the sides are all sorted out I’m hoping to work round some sort of border in cream or grey. When I am sewing the ends in, Bernard comes along and plonks himself down on it (I think he has decided it is being made for him). The blanket is quite heavy, but it is so lovely and warm. It’s not very comfortable working on it at the moment, but I’m hoping to return to it in a few weeks when it gets cooler in the evenings. 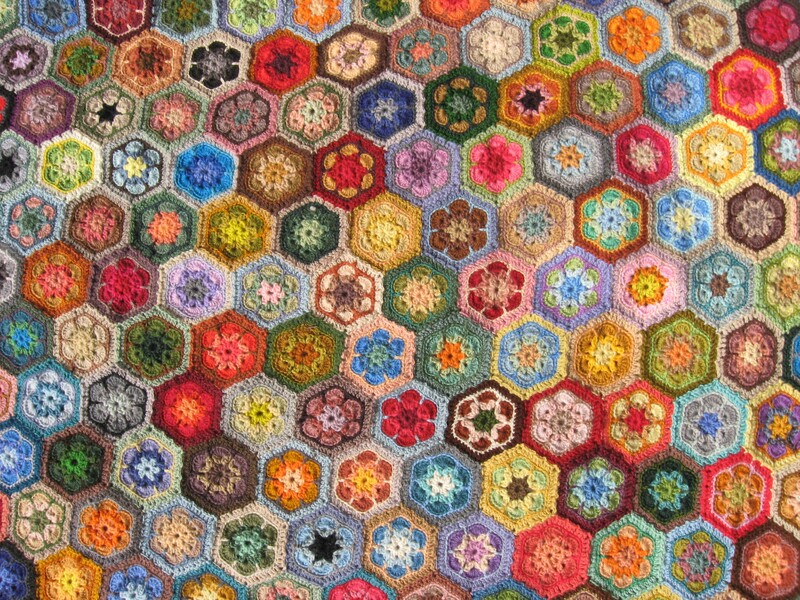 Each hexagon is different in colour, sometimes this is just a slight variation in which shades of a colour are used. There is a yellow hexagon which is my favourite as it makes me think of primroses (one of my favourite flowers). I’m really pleased with how it is coming along, and I think this pattern is now my new favourite for crochet. Thank you so much Andamento for the inspiration and thank you so much Heidi Bears for the fantastic tutorial.